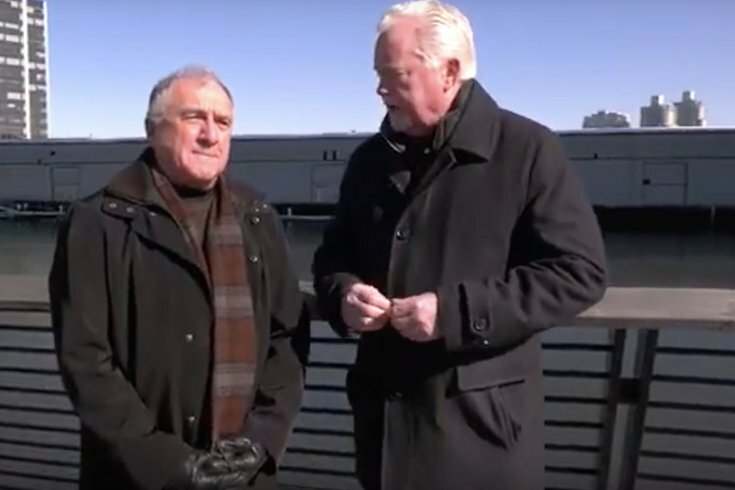 Veteran crime journalists George Anastasia, left, and Dave Schratwieser discuss a potential blockbuster drug case that could rock the Philly Mob in the latest episode of "Mob Talk Sitdown" on YouTube. In the latest episode of Mob Talk Sitdown, veteran crime journalists George Anastasia and Dave Schratwieser discuss the latest news around an unfolding FBI investigation. A new FBI cooperator wears a wire on the Philly Mob for three years. Who's on tape and who's not? Did the participants in a big Mob-backed drug operation let down their guard and put other wiseguys in jeopardy? It's a potential bombshell case that could have widespread impact. In the Episode 14 of Mob Talk Sitdown, Anastasia and Schratwieser delve into the latest fallout from Philly Mob boss Joey Merlino's mistrial in the big East Coast La Cosa Nostra case in New York City. Will federal prosecutors re-try Merlino, the last remaining defendant in the case against 46 wiseguys and associates? The deadlocked jury and mistrial now leads to discussions of a "potential resolution" of the case.